My strawberries in the garden started coming on a couple of days ago. I went out everyday and picked them little by little to save them for this cake. To Read More, Click On The recipe Title. I served this cake to 5 people in our family yesterday. The first descriptive word that was spoken after eating by each person was....creamy. They couldn't believe how creamy it was. I try to pick recipes that are going to be good, I just didn't realize how good this was going to be! The original recipe from Food.com was made in a 13x9 in pan. The reviews on the recipe said some people made it in an 8 or 9 inch cake pan so I opted to make it in the smaller pan. 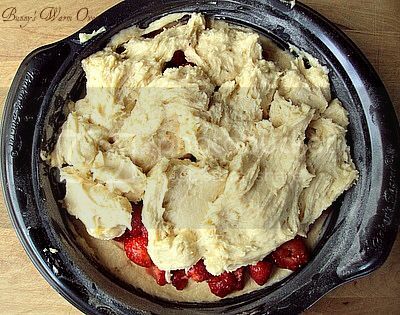 A couple of the reviews said it was difficult to spread the cake batter out into the bigger pan and then spread the cake batter over the strawberries. Difficult but still achievable and just as good. Making it in a 13x9 inch pan will give you a bar like dessert that will feed more people. Either way you choose to make it you will be very very pleased with it. Lets get started making Fresh Strawberry Cream Cheese Cake! Combine the cream cheese, butter and sugar and beat until light and fluffy. You know this is going to be good with butter and cream cheese in the batter. Stir in the milk, eggs and vanilla. Mix well. Sift together the flour, baking powder, baking soda, and salt...( the wet ingredients). 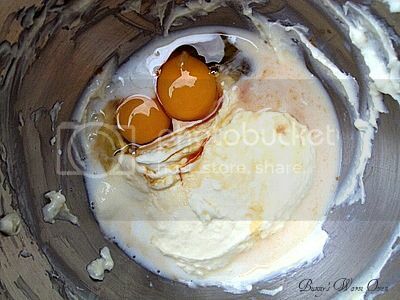 Add to cream cheese mixture and mix until smooth. Let's talk about beating wet ingredients and then incorporating the dry ingredients. You can pretty much beat wet ingredients ( a combination of but not limited to butter, eggs, milk etc..) together for any cake till the cows come home and they'll be fine. It's when you add the wet ingredients ( a combination of but not limited to flour,baking powder, baking soda, salt etc..) to the batter that things change. 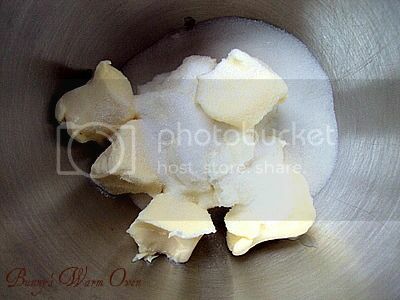 When you add the dry ingredients to any cake batter beat or mix till just incorporated. If your wet ingredients are thoroughly blended, there's no need to add the dry ingredients and mix any longer than is needed to incorporate them, unless stated in the recipe. The longer you beat the batter after the dry ingredients are added, the tougher the cake will be. 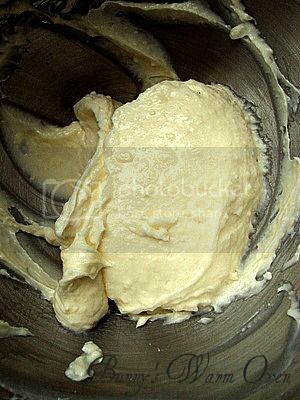 Spread 1/2 the cake batter into a greased and floured pan, your choice of 13x9 or an 8 or 9 inch cake pan. I used a 9 inch cake pan, this rose up quite a bit. Spread berries over the batter. I tried to keep the berries away from the edges of the batter so that when the batter rose up it sealed the berries in the cake. Drop the last 1/2 of batter over the berries in the pan. I took my cake spatula ( you can use a knife) , wet the spatula with a little water and started spreading the batter over the berries. At this point in the recipe is where people that used the larger pan ( 13x9) ran into problems. They had a hard time covering the berries with the batter and used they're fingers to push the batter over the berries. 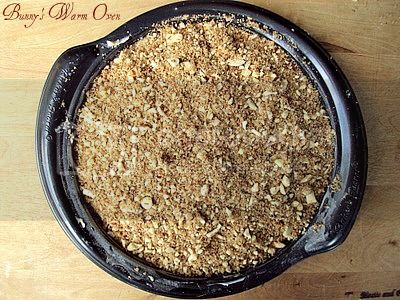 Combine the brown sugar and chopped nuts and sprinkle over the top of the cake. You can use any nut you like, I choose almonds because I thought it would go well with the strawberries. Bake for 35 -40 minutes, the cake rises pretty high. 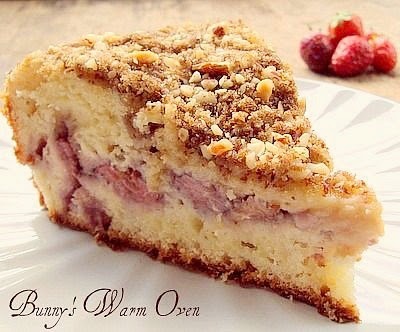 Make sure that the center of the cake has risen before taking out of the oven. Test for doneness with a toothpick. Let cool completely or serve warm . This cake turned out to be such a delicious surprise! I hope you try it! Enjoy! To print recipe ,click here. Combine cream cheese, butter and sugar. Beat until light and fluffy. Stir in milk, eggs and vanilla. 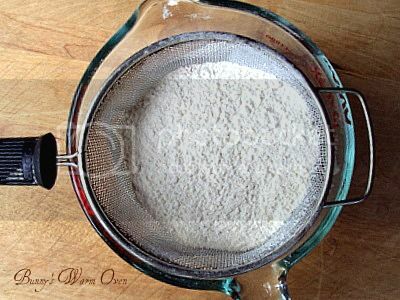 Sift together flour, baking powder, baking soda and salt; add to cheese mixture and mix until smooth. 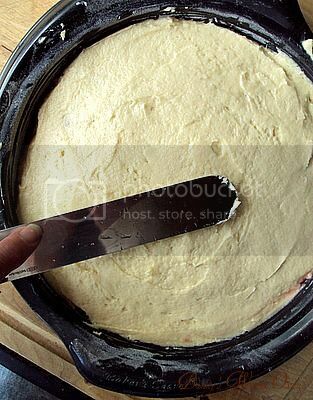 Spread half the batter in a greased and floured 13x9 inch baking pan. (The batter is VERY thick. It works best to put little blobs of it across the whole pan and then spread them with a knife. One reviewer says they used a 8x8 inch pan, but I haven't so I can't vouch for how it will turn out or how long you need to bake it.). 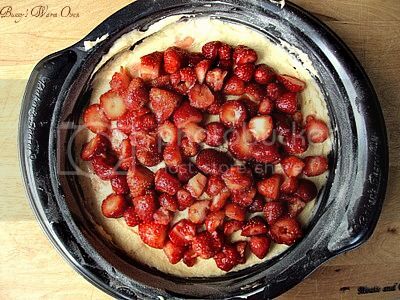 Spread berries evenly over batter. Dot remaining batter over berries. 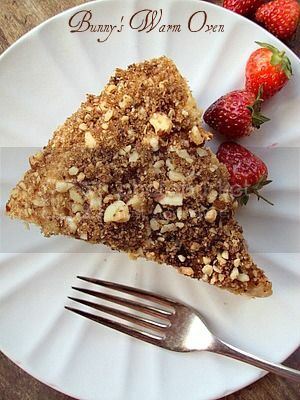 Mix brown sugar and nuts; sprinkle evenly over cake. Bake 40 minutes. Serve warm or cold. this one has it all, bunny--it's glorious! This look amazing too, like our kuchens look georgeous!! That looks delicious! 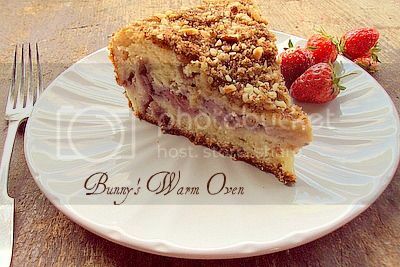 I think everything tastes better with cream cheese :) I'll have to make this this summer with fresh berries!